Apple has partnered with hearing implants company Cochlear to launch the first made for iPhone Cochlear implant, which can stream audio from a compatible iPhone, iPad, or iPod touch directly to a surgically embedded sound processor (via TechCrunch). Cochlear implants are reserved for people with profound hearing loss that traditional hearing aids can't help to alleviate, and consist of both an internal and external component. Thanks to the Apple-approved certification, patients can control the Cochlear implant directly from their Apple device and not have to download and launch a separate iOS app. 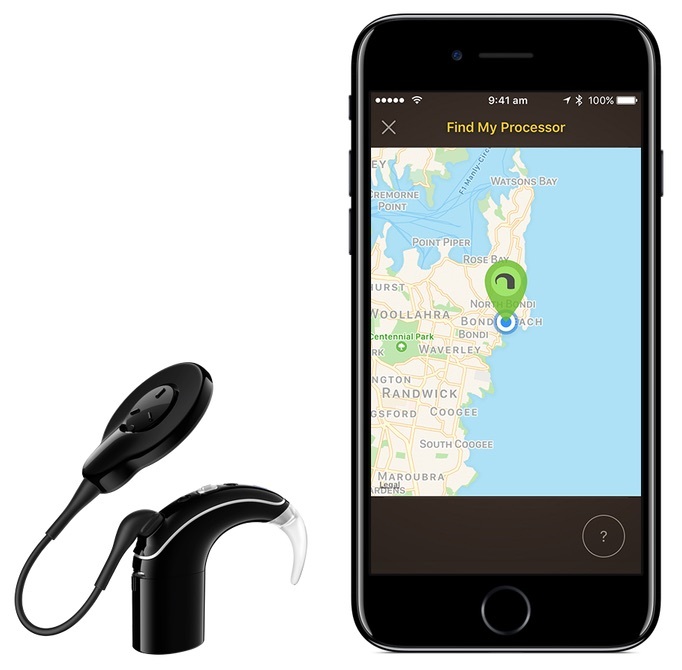 Users can navigate to their iPhone Settings app, click General, and then Accessibility, and find their the Cochlear hearing implant -- with a Nucleus 7 Sound Processor -- listed for them under "hearing devices." After being paired, users can control the implant's volume using their iOS device's volume controls, and any audio can be sent into the implant including phone calls and music playback. In addition, the external component of the Nucleus 7 is said to have a longer battery while being smaller and 24 percent lighter than the previous version of the device. There have been other audio-assisting technologies that Apple has showcased in the past, like the ReSound LiNX 3D hearing aid, and speaking with TechCrunch the company reiterated its intent to push accessibility features in every version of iOS. In celebration of Global Accessibility Awareness Day this year, Apple held a concert at One Infinite Loop with headliner Stevie Wonder performing for employees during the event. Following the release of a collection of accessibility-focused "designed for" videos, CEO Tim Cook sat down and talked about macOS and iOS accessibility features with YouTubers who use these features daily. There is hearing loss in my family and I'm a DJ (thus already lost a bit in one ear!) - this gives me hope.